WOW guys and gals! Your author, Marcia Williams has done an amazing thing and posted some of your fantastic photos and work on her very own website! My personal favourite picture is the one above! Well done all of you! You’ve clearly impressed Marcia so much! 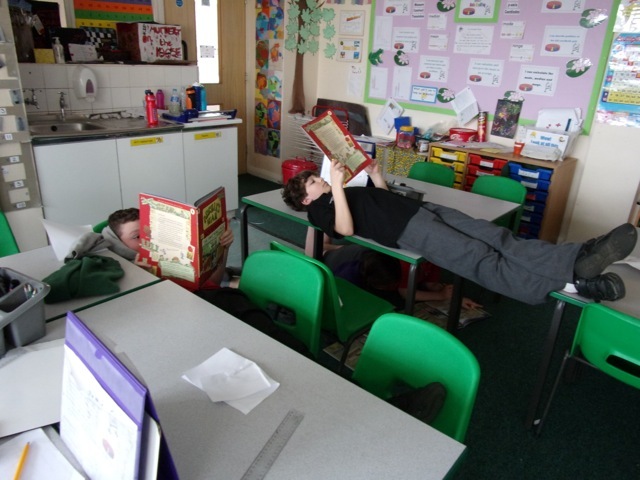 I thoroughly approve of the chap lying across class desks reading…bravo!